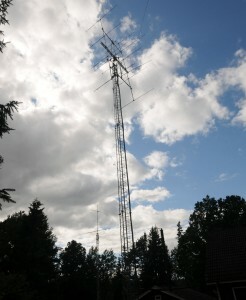 2012-July-15, I took this picture of the antennas at SM7GVF, Kjells QTH. Kjell is a close friend of mine and he is very active on many HAM bands. Click on the picture for a full view.